Walmart Offers Product To Destroy Leftover Opioids, But Critics Say It's Unnecessary : The Two-Way The company billed it as a "first-of-its-kind" item that lets customers turn extra opioid painkillers into trash, but the CDC says just flush the medicine down the toilet. On Wednesday Walmart began distributing a new solution to help customers dispose of leftover opioid prescriptions. But CDC says, just flush them down the toilet. Walmart is the latest national company joining in the fight to try to help curb America's harrowing opioid epidemic, which now kills more people than breast cancer. On Wednesday the chain rolled out a pharmacy product it says provides a safe way to get rid of extra prescription opioid drugs. It's called DisposeRx and when mixed with warm water it turns any form of opioid drug — including powders, pills, tablets, capsules, liquids or patches — into a biodegradable gel that can't be separated or converted back into a usable drug. 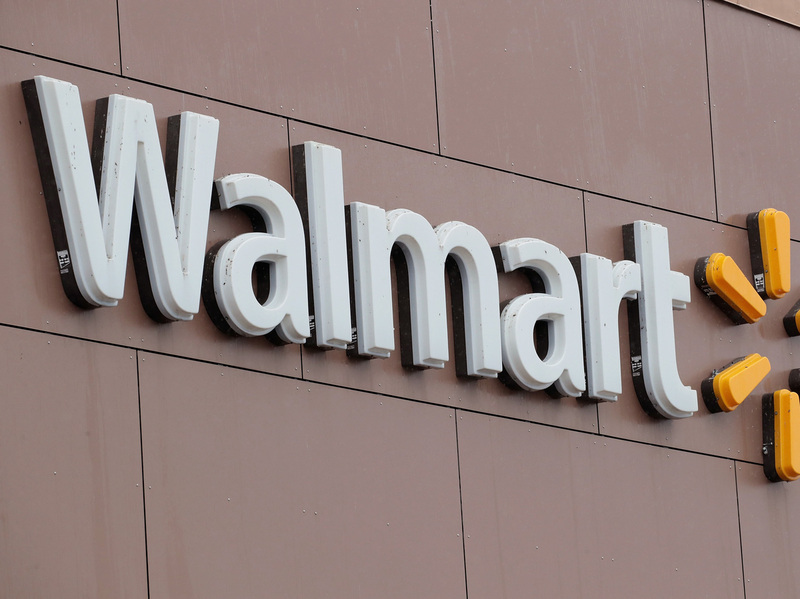 Walmart touted it as the first of its kind in a statement, and said the ingredients are FDA approved. "The health and safety of our patients is a critical priority; that's why we're taking an active role in fighting our nation's opioid issue – an issue that has affected so many families and communities across America," Marybeth Hays, executive vice president of Consumables and Health and Wellness at Walmart U.S., said in the statement. In 2016 more than 42,000 Americans died of an opioid overdose — including prescription opioids, heroin and fentanyl. That is more than any year on record and 40 percent of all overdose deaths involved a prescription. Walmart explained patients filling new opioid prescriptions at any of its 4,700 pharmacies will receive a free DisposeRx packet starting immediately, while existing customers can ask for one at any time. Patients with chronic pain prescriptions will be offered packets every six months. Republican Sen. John Boozman from Arkansas praised Walmart for helping "to keep unused prescription drugs out of the wrong hands." "About one-third of medications sold go unused. Too often, these dangerous narcotics remain unsecured where children, teens or visitors may have access," he said in the statement Walmart released. A CDC study found Arkansas' prescription drugs are so ubiquitous there are enough pills on the black market that every single citizen — nearly 3 million in the state — could have a full bottle, reported Talk Business & Politics. Dr. Andrew Kolodny, co-director of the Opioid Policy Research Collaborative at Brandeis University, agrees that leftover pills do contribute to the spread of addiction but he says products like DisposeRx are unnecessary because the CDC already encourages anyone who's at the end of a prescription opioid treatment to "flush them down the toilet." No special ingredients necessary. "The problem is the general public just doesn't know that," he said. "Think about it," he continued, "every time someone taking an opioid medication urinates or defecates, it gets into the water supply. So that's not the real problem." Kolodny is also conducting a long-term study on the impact of numerous legislative and private company-led efforts to stem the epidemic. His conclusion on Walmart's DisposeRx? "It's nice that they're trying but it will have little impact." The root of the explosion in the addiction crisis, he says, is rampant over-prescribing by doctors and dentists. Through his research, which is ongoing, Kolodny has found that policies limiting prescriptions are most effective, like the one imposed by CVS. In September the drug-store chain began limiting opioid painkillers to seven-day supplies for new patients. But even that falls short of what is required, Kolodny said. A better strategy is the one undertaken by the Vermont Department of Health. New rules established in April limit the quantity of a "morphine milligram equivalent" in prescriptions. They lay out specific dosages of drugs containing oxycodone, hydrocodone and acetaminophen-oxycodone (found in Percocet) that doctors should prescribe. Kaiser Health News reported 22 states either adopted or toughened their prescription size limits in 2016.